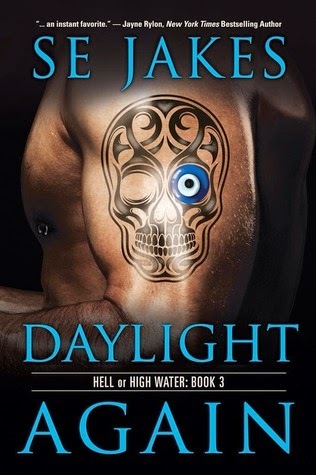 Daylight Again by SE Jakes - Spotlight & Giveaway, Plus Excerpt! Thanks so much for hosting a spotlight of my new release— Daylight Again! It’s book 3 in the Hell or High Water series, and it’s the return of Prophet and Tommy. And Mal. And Cillian. And, as usual, some surprises. Hang on for another wild (and hot) ride! SE Jakes will be giving away one $100 gift certificate to Riptide Publishing. Entries close at midnight, Eastern Time, on May 17th, and winners will be announced on May 18th. Contest is valid worldwide.